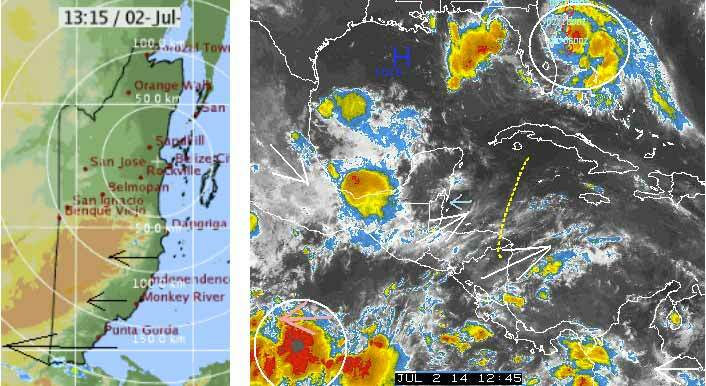 Belize NMS: Mostly good weather will prevail. 24-hour forecast: Mostly sunny today and partly cloudy skies tonight. Showers and thunderstorms will be isolated with a few more occurring over southern coastal areas tonight and tomorrow morning. Today: Winds: East 10-20 kts. ; seas: Choppy - moderate; waves: 3-5 ft.; isolated showers and thunderstorms(mainly south). Tomorrow: Winds: East 10-20 kts. ; seas: Choppy- moderate; waves: 3-5 ft.; a few showers and isolated thunderstorms . Marine Outlook: (Thursday night): Winds: E/SE 15-25kt. ; seas: Rough;waves:4-6ft. ;a few showers and isolated thunderstorms. General Outlook: Through to Friday morning: Cloudy skies at times with a few showers and isolated thunderstorms over most parts of the country. Only very small traces of rain showers this morning, some significant along the southern border, but that dying out. The high level clouds coming over Belize from the SW do not appear to be bringing any rain. . . . .. So today will probably be similar to yesterday, sunny with some clouds, more cloud building up during the day. The spate of good weather we have been experiencing will continue into the second half of the week. 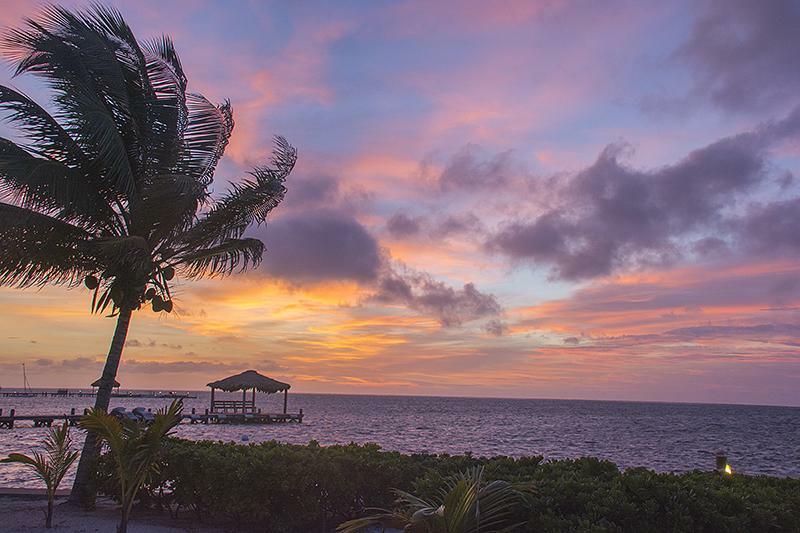 The general forecast for Belize and her coastal waters is for mosty sunny skies today. Winds over the open sea and along the coast will be easterly at 10 to 20 knots. High temperatures today will range from 88 degrees Fahrenheit along the coast to 92 degrees Fahrenheit inland. It will be 80 degrees Fahrenheit up in the hills. The tides: there will be a high tide at 12:50 pm, followed by a low tide at 7:48 pm. The sun will set at 6:31 pm and rise again at 5:22 am on Thursday. The extended forecast valid through to Friday is for cloudy skies at times with a few showers and isolated thunderstorms over most parts of the country. The morning was windy with an ESE at 12 mph. Our expected high is 88.